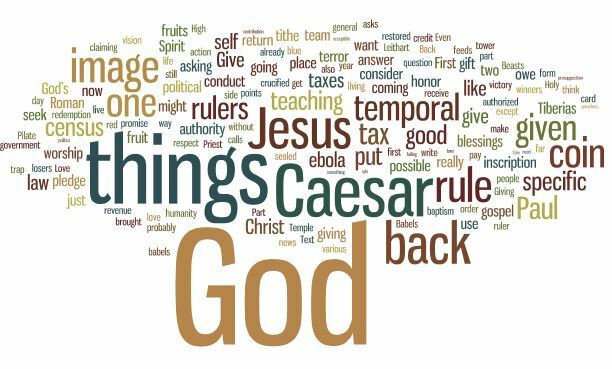 The text contains Jesus saying, “give to Caesar the things of Caesar, and to God the things of God”. It is possible simply take that answer as a simple dodge, but that is not what this sermon does. 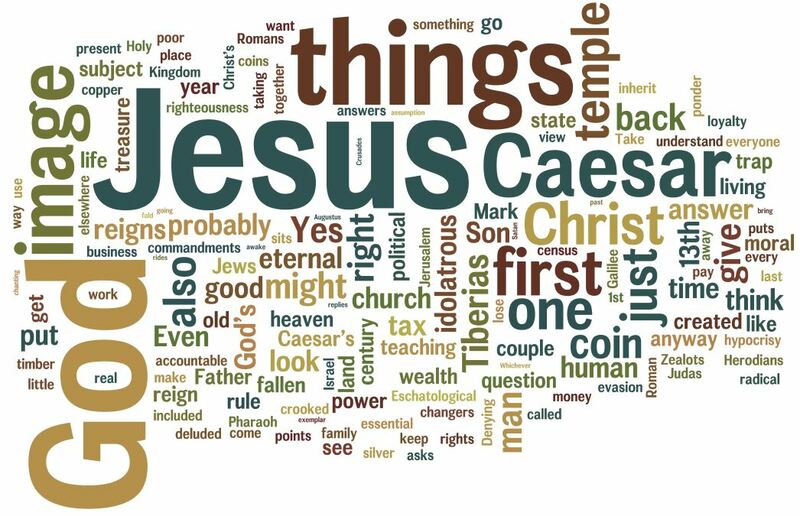 This sermon looks at Jesus’ saying in four ways. In the literal time frame it was a way to confront and avoid the politics of division. It encouraged the hearers to ponder both what was the state’s and what was God’s, and how they might or might not over lap. If we look through a lens of Christology one of the creedal confessions is that Christ sits as the right hand of God. He has defeated the powers and principalities and now does reign. What that rules out are the simple poles that the state’s things are always God’s things or that the state’s things are never God’s things. Caesar, like Cyrus and Pharaoh, is accountable to the God of Israel, the only God. In sorting out the things of Caesar, we can’t find ourselves at the extremes. If we look through a moral lens, Jesus encourages us to look at whose image or whose icon is on things. The coin bore the image of Caesar, but humans bear the image of God. Morally, when we see the least among us, we are to see the image of Christ, and act accordingly. Yes, that image is cracked due to sin, but it is that image that Christ repaired. It is that image that the indwelling of the Holy Spirit is renewing in us. Finally, we are encouraged to take an eschatological view (a completion or end view). In how we dispose of the things entrusted to us, do we use them for temporal ends, or do we use them for eternal ends? Jesus invites us to put God in our debt. He’s good for it. If we give the things of God to him we will not lose our reward. Worship Note: I moved our Hymn of the Day after the Sermon in the recording. LSB 851, Lord of Glory You Have Bought Us. I did this because the sermon was a little longer today. So if you just listen to that you can get to it quicker. I also moved it after because the words of that hymn I believe capture the Christological and Moral force of the message exactly. The eschatological is there as well, but not quite as direct, or not put in the same vocabulary. 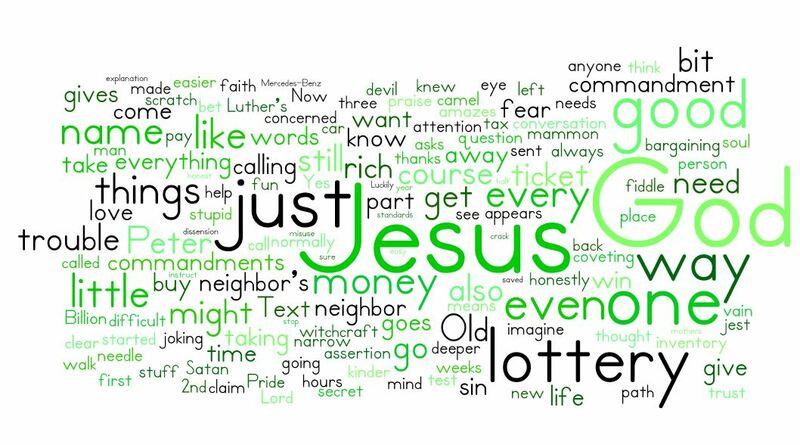 I use treasure in heaven as the vocab sticking with the monetary theme of the text. The hymn switches to theological virtue language: faith, hope and love. 2) What Caesar should provide, and a simple description following Peter Leithart’s taxonomy: guardians, babels and beasts, of the limits of our giving back to Caesar. 3) What giving back to God means with a focus on three ideas: a) bearing the image of God through baptism, b) the summary of the law as our spiritual worship and b) the gospel tithe. Carrying crosses is a tricky subject. Or maybe I should write that discerning crosses is difficult. Sometimes what you think are crosses are just being a drama queen martyr. They could be avoided, but the scene is too desirable. Sometimes what we put as crosses are just common difficulties. 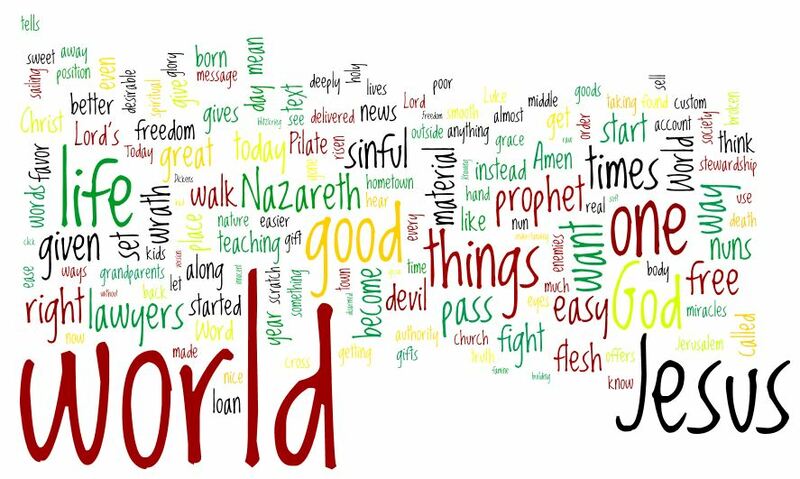 A cross in the sense of the text is something forced on you by the world because you won’t put its priorities first. And more specifically, a cross is something you encounter because you specifically put Christ first. Jesus bore the cross, because he remained faithful to His Father. He would not give the pinch to the Sanhedrin or to Caesar. This sermon looks at what are some very American or rich western crosses. It is tempting to dismiss them as crosses because of that adjective, rich western. But we don’t pick our crosses. Our trails are ours. I don’t say it in the sermons, but there is an old saying “those He wishes to destroy first he makes rich”. The deceptions of the world in the west are very attractive things. They are also often very good things, if in their proper order and time. And that is the crux of crosses. They come not because the creation is bad. They come because Satan has marked his prey. They come because the ruler of this age wants you get things out of order. The faith of Jesus Christ gets things in the proper order.